In an industry that faces much speculation, skepticism and criticism, near perfect performance and operation is critical. Nuclear power plant personnel are expected to run every unit at maximum capacity at all times, efficiently utilizing assets with minimal downtime. The penalties for mistakes include fines, derates and unexpected downtime, all of which can impact the cost of electricity. Subsequently, nuclear power plants face significant pressure to continually improve equipment reliability in order to efficiently supply clean energy. To achieve reliability and efficiency goals, the nuclear power industry is implementing predictive analytics software and applying it to existing maintenance and reliability processes. Much of the technology used today is unable to detect problems at an early stage. Consider the cost and time of fully instrumenting a nuclear power plant – it’s expensive, so many times only the absolute necessary and minimal sensors to safely run the plant are installed. With the increasing amount of data-generating sensors, analysis can become too complex, laborious and inconsistent fast. When considering these challenges, the need for a Predictive Maintenance (PdM) strategy that includes a predictive analytics solution to detect problems before they occur becomes apparent. PdM involves using software to continuously monitor asset performance through sensor data and using various prediction engines to provide advanced warning of equipment problems. This practice enhances existing reliability processes with diagnostic capabilities and the ability to uncover system disturbances that other maintenance techniques may not achieve on their own. Predictive analytics technology works by comparing an asset’s unique operational profile with real-time operating data to detect subtle changes in system behavior, which are often the early warning signs of impending equipment failure, and alerting personnel days, weeks or months before traditional operational alarm levels. This creates more time for analysis and corrective action. Rather than waiting for issues to worsen, facility personnel can order parts that may not be immediately available, shift loads to reduce asset strain, or schedule maintenance for a convenient time. For example, consider a boiler feed pump that is modeled using a predictive analytics solution. Under a steady state load condition and during the winter season, a systems engineer receives an alert from the predictive analytics solution that indicates a higher than expected metal temperature for a bearing. However, the temperature reading as reported in the plant process computer is not in alarm because it has been set for the maximum expected temperature, which typically occurs in summer months. The systems engineer can use predictive analytics tools to diagnose the alert and determine whether or not the anomaly is actionable. Early detection of the temperature variation leaves more time for the engineer to focus on evaluating the impact on performance and reliability, before the situation propagates into a more undesirable condition. Supplementing reliability processes with a predictive analytics solution like PRiSM Predictive Maintenance leads to invaluable benefits for nuclear power facilities, including early warning of equipment problems and potential failures, reduced downtime, extended equipment life, increased equipment reliability and improved performance. For more information, download our paper Predictive Asset Analytics for Increased Nuclear Equipment Reliability. This type of big data analysis measures has to be taken in every industry to improve efficiency and reduce losses. I think Schneider will do it. Thanks for your comment! I agree – predictive analytics can be used for significant efficiency improvements in many industries, like mining, manufacturing, food and bev, in addition to power. This is a wonderful tool. Can you please send me more information about this product? Also, how does this interact with WonderWare? Hi Daubert, thanks for your comment! Avantis PRiSM interfaces with any historian, including Wonderware. We will have someone contact you ASAP and in the meantime, you can visit our website here: http://www.instepsoftware.com/instep-software-products/prism-predictive-asset-monitoring. 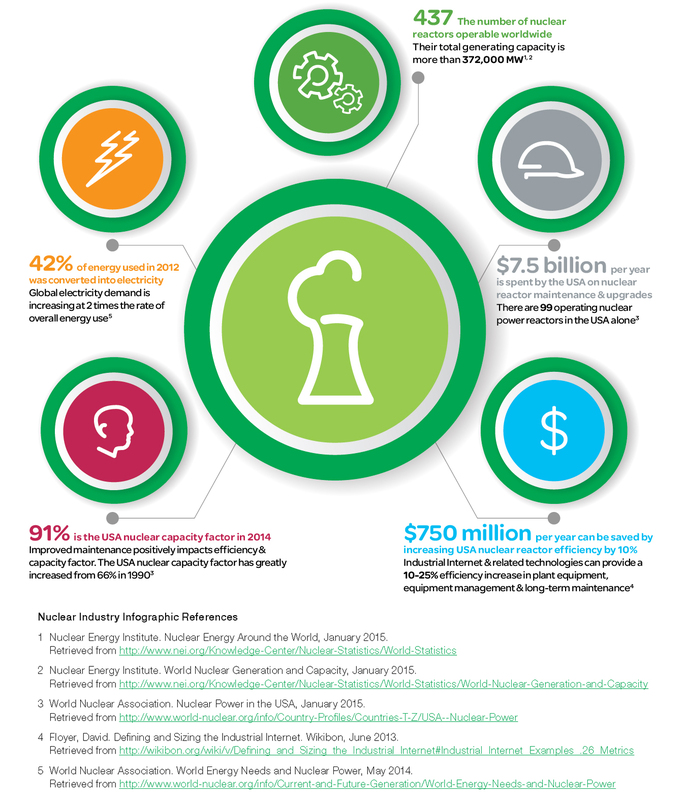 Really appreciate for your amazing article on Nuclear Equipment Reliability. Keep going on, good stuff. Looking forward to seeing your notes posted. Thank you for sharing the nice article. Good to see your article.